Under voltage faults, grid-tied photovoltaic inverters should remain connected to the grid according to fault ride-through requirements. Moreover, it is a desirable characteristic to keep the power injected to grid constant during the fault. 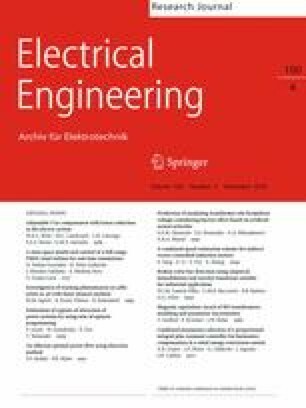 This paper explores a control strategy to regulate the active and reactive powers delivered by a single-stage photovoltaic generation system to the grid during asymmetrical voltage faults. The reference for the active power is obtained from a maximum power point tracking algorithm, whereas the reference for the reactive power can be set freely if the zero-sequence voltage is null; otherwise, it will depend on the magnitude of the zero-sequence voltage and the active power reference. The power control loop generates the reference currents to be imposed by the grid-tied power inverter. These currents are regulated by a predictive controller. The proposed approach is simpler than other methods proposed in the literature. The performance of the control strategy presented is verified with an experimental laboratory setup where voltage sags and swells are considered. This work was funded by Conicyt Chile Under Project FONDECYT 11180092. The financial support given by CONICYT/FONDAP/15110019 is also acknowledged.